The Mayo Clinic Center for Individualized Medicine, or CIM as we like to say, has been rolling out genomic testing for its patients, integrating genomics into electronic medical records, and participating in clinical trials that focus on delivering personalized medicine. The center recently published a paper on its experience with diagnostic exome testing in Mayo Clinic Proceedings. The study demonstrated a successful diagnosis in 29 percent of patients based on the findings from whole-exome sequencing. Scientists at CIM also published the results of the first 1,000 pharmacogenomics (PGx) patients this month in the Journal of Molecular Diagnostics. CIM is leading a PGx clinical trial to see whether knowing PGx status prior to being prescribed a cardiovascular drug improves outcomes. In addition, the center offers next-generation sequencing-based panel testing for cancers, cardiovascular and neurologic disorders, and is rapidly developing asssays in gastroenterology and in a variety of cancers. Recently, CIM began a pilot program on predictive genomics in which it offers whole-genome sequencing through its executive health program. In 2015, to start to scale and automate sequencing of genomes, Dr. Stewart said CIM decided to sequence 1,000 whole genomes from existing individuals in its 50,000-subject biobank. By 2020, the goal is to sequence thousands of patient genomes per year. The ultimate goal, Dr. Stewart said, is to implement a clinically relevant whole-genome sequencing test that costs around $500. Although it is still not affordable to sequence everyone's genomes, he added, that is the direction that Mayo Clinic is moving. Researchers are trying to figure out how to scale this up and bring the cost down. As a first step in this direction, CIM, in collaboration with Baylor College of Medicine, is sequencing 84 genes related to drug metabolism in 10,000 patient samples. Testing was done by next generation sequencing (NGS), but the researchers used a variety of methods for the CYP2D6 gene because it is difficult to assess via NGS. All the patient samples are from Mayo's biobank, but both Baylor and Mayo share the sequencing. One advantage of having patient samples with detailed clinical information, Dr. Stewart said, is that the patients who consented to the study were all deemed likely to be prescribed a relevant drug in the next three years. Results from the test will be delivered to patients' medical records in such a way that alerts are triggered when a physician prescribes a drug that will interact with one of the patient's PGx variants. In the recent Journal of Molecular Diagnostics study, the team found that of the first 1,000 patients, 99 percent had an actionable variant in at least one of the five genes tested, providing "evidence in favor of preemptive PGx testing,” the authors wrote. Like many other major academic medical centers, Mayo Clinic offers clinical exome sequencing for patients with unknown genetic diseases and with advanced cancers. As described in the recent Mayo Clinic Proceedings report, during the first 18 months of operation, Mayo received consultation requests for 82 patients and ended up providing exome sequencing for 51. Dr. Stewart described one example of a patient who at 18-months-old could not stand up straight. The family went years without knowing what was wrong and their son's problems continued to get worse. Finally, as a teenager, exome sequencing found the molecular cause, and he was diagnosed with episodal ataxia. He is now on medication that enables him to function much more easily — and even play sports. 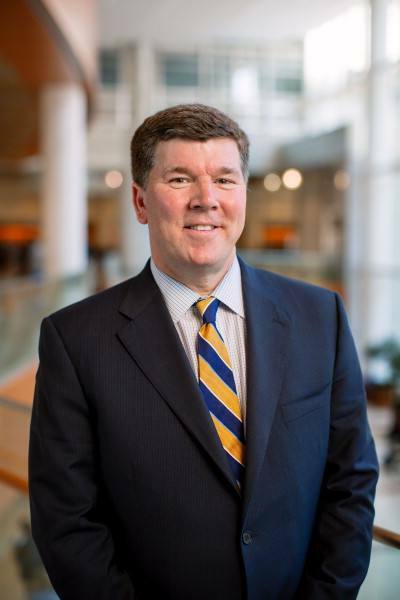 Mayo Clinic also offers diagnostic tumor exome sequencing for patients with advanced cancer, which, Dr. Stewart said has helped get patients on the appropriate treatments, although he added that to be really effective, such testing needs to be done earlier. Mayo has been offering a number of different panel tests. Most recently, it launched several panels for cardiovascular disorders, including a 13-gene test for Marfan syndrome, a 30-gene dilated cardiomyopathy panel, a 13-gene Long QT syndrome panel, a 26-gene hypertrophic cardiomyopathy panel, a 9-gene arrhythmogenic cardiomyopathy panel, and a 55-gene comprehensive panel. Dr. Stewart said the team is now in the process of developing panels for neurological disorders like epilepsy, neurodegenerative disease, peripheral neuropathy, and more, and plans to soon move into the area of gastroenterology. Visit GenomeWeb to read the full article. Note: This is a premium site. A subscription is required.